4. Northern California Women's Caucus for Art will come up. Click on that. 5. 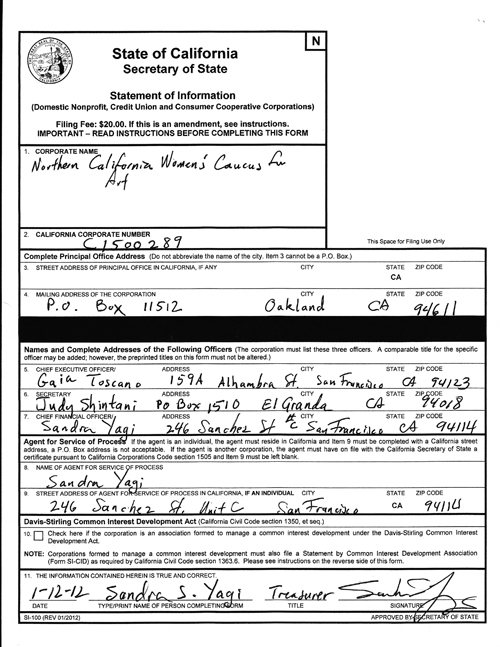 State of CA Registration Page will come up. 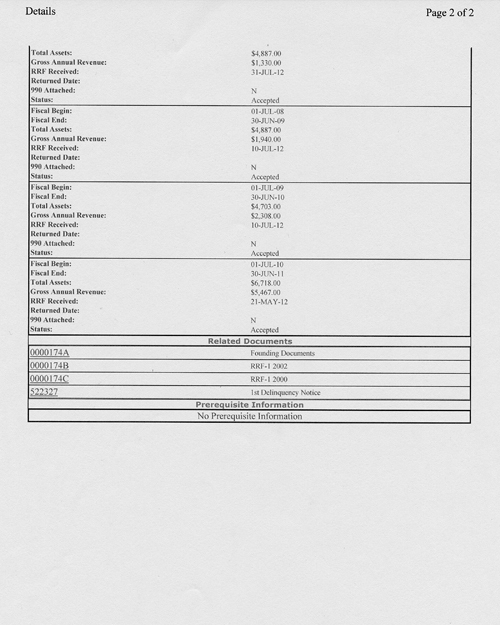 This provides historical filing information. 6. 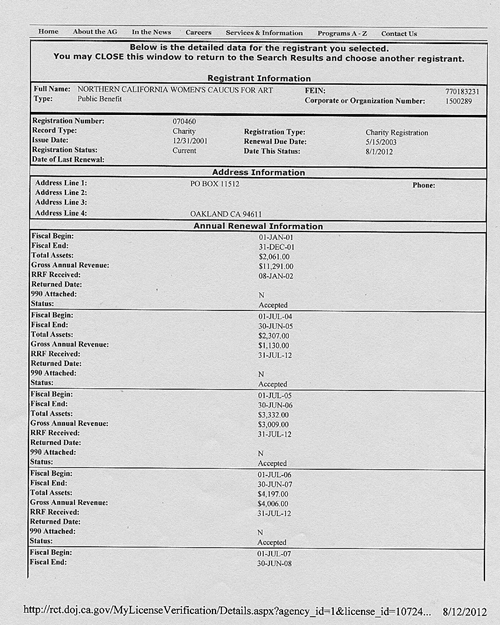 Copy of Statement Nonprofit Registration as of 08.12.12. below.